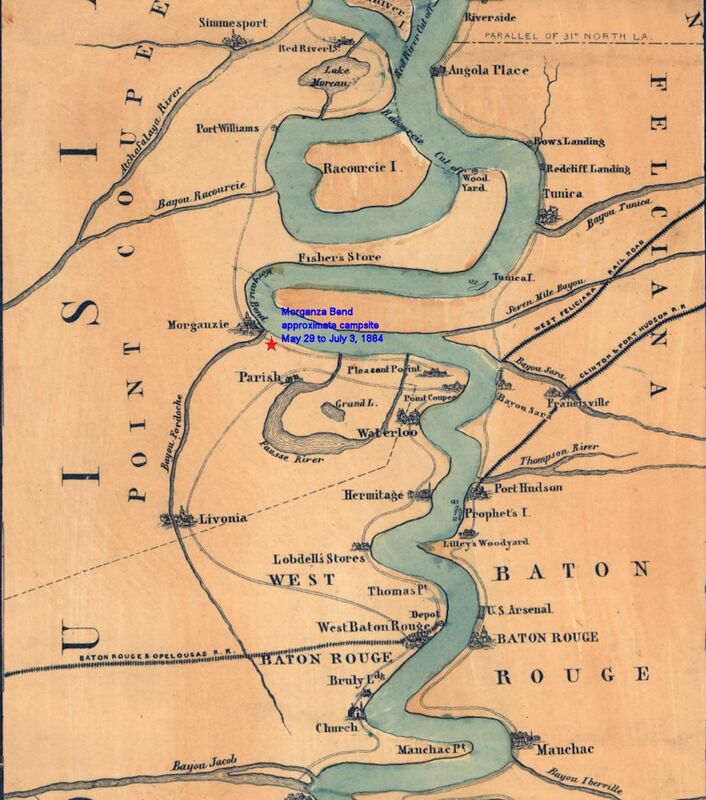 During this time, the regiment remained in their camp near Morganza Bend on the Mississippi River in Louisiana. The weather was very rainy and camp life was described as disagreeable. This period map shows the approximate location of the site where the 16th Ohio camped from May 29 to July 3, 1864.